ABC hopes to put a few scratches on CBS' Sunday night Grammys telecast with an "All-Night Name Drop" of the next Dancing with the Stars cast. 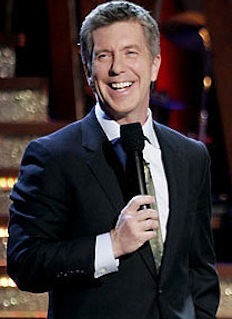 Host Tom Bergeron will unveil the Season 8 field in one-by-one fashion during breaks from ABC's Sunday night lineup of Extreme Makeover: Home Edition, Desperate Housewives and Brothers & Sisters. The whole list will then be available on abc.com. Dancing resumes on Monday, March 9th. 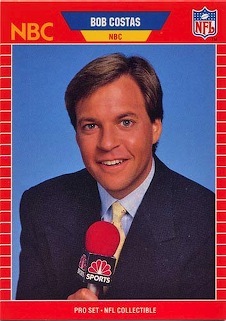 ***Bob Costas will be reunited with his first love, baseball, as part of a cable-exclusive deal with the fledgling MLB Network, which launched on Jan. 1st in 50 million cable and satellite homes. This means that Costas will leave HBO but stay with NBC, where he'll still host the Sunday Night Football pre-game show as well as carry the torch for future Olympics telecasts. On MLB, Costas will preside over the weekly Studio 42 with Bob Costas, which premieres on Thursday, Feb. 5th (7 p.m. central) with guest Joe Torre, who has a new book out on his years with the Yankees. Costas also will host periodic MLB specials and do the play-by-play on a "select number" of the 26 regular season games to be presented this season. ***Let's see, where haven't the Jonas Brothers been yet? On Sunday they'll do the Grammys on CBS. Then on Valentine's night they'll be the musical guests on NBC's Saturday Night Live, hosted for the 14th time by Alec Baldwin. Oh yeah, Babs Walters will interview Kevin, Joe and Nick on her annual 28th annual pre-Oscars special, set for Feb. 22nd on ABC. Because after all, Oscars spelled backwards is Jonas -- if you add and subtract a few consonants. Additionally, the Jonases will "rock the CW" on Feb. 10th by hosting 90210 and Privileged in addition to offering a peak at their new Jonas Brothers: The 3D Concert Experience, coming to theaters on Feb. 27th. All of this doesn't leave a lotta down time for the boys at their new Westlake, TX home. Nor are there many more significant TV specials, series or awards shows to conquer. Maybe Costas can work in a baseball angle on MLB. When you're hot, why not?